Pompeii. The ancient city of Pompeii. 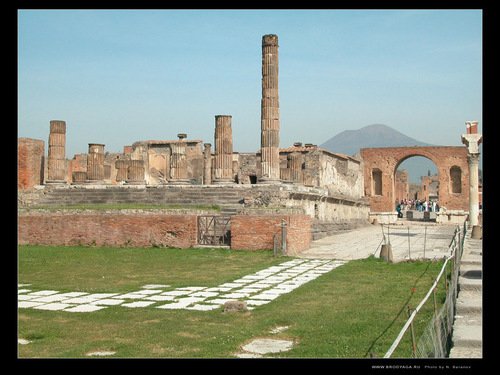 HD Wallpaper and background images in the Italy club tagged: italy travel europe photo ruins ancient history. Beautiful capture!!! link is well known as historic landmark, I would love to visit there as I love exploring archaeological ruins.